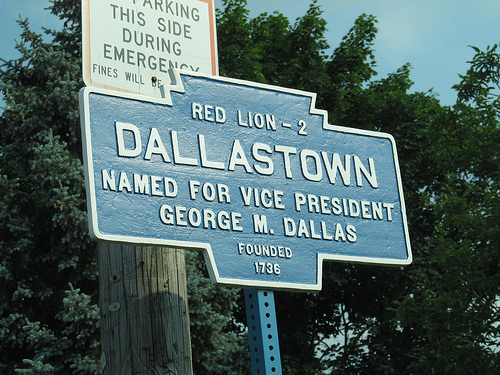 The small, community-oriented environment and excellent school system also make Dallastown ideal for anyone looking for an ideal location to raise a family. One interesting fact is that Dallastown Area Senior High School boasts the longest hallway of any school in Pennsylvania, extending almost 1/3 of a mile! Neighboring towns that are also ideally suited for home ownership and family life include Loganville and Jacobus —both are part of the Dallastown Area School District. These towns are located along the historic Susquehanna Trail, which is just a stone’s throw from Interstate 83. This makes for an easier commute for individuals who work in Harrisburg, PA, Baltimore, MD or anywhere in between. If you’re in the market for Dallastown Area School District real estate, turn to the professionals at CENTURY 21 Core Partners. We offer an extensive listing of homes of all types and sizes, including a wide variety of Dallastown, Jacobus and Loganville, PA homes for sale. By working with the Century 21® brand, you also get the benefit of service from a brand that was the recipient of the highest numerical score from first-time and repeat home buyers in the J.D. Power 2014 Home Buyer/Seller Study. These days, most home buyers begin their search on the Internet. On the CENTURY 21 Core Partners site, you’ll find lots of useful information that will speed up and simplify the search process for Dallastown Area School District homes for sale. Get a better sense of what it will be like to live in a particular home by exploring professional grade architectural photographs and taking a virtual tour. We also include all relevant home and property details, such as property and home size, rooms, outbuildings and more. Download our mobile app to access the most up-to-date property information via your smartphone or other mobile device. Our team of professional agents is available to assist you in finding and purchasing the ideal Dallastown, Loganville or Jacobus, PA home for sale. Our agents know the area and the local real estate market well, and we can help you quickly locate the right home for your living requirements and price range. You’ll also benefit from expert guidance throughout the buying process from the initial showing through settlement. Our goal is to make buying your dream home as easy and stress-free as possible. If you’re ready to start searching for Dallastown, Jacobus and Loganville, PA houses for sale, give CENTURY 21 Core Partners a call at 717-718-0748. To contact us online, fill out our contact form and an agent will be in touch with you shortly. Feel free to submit any questions about properties via our website.